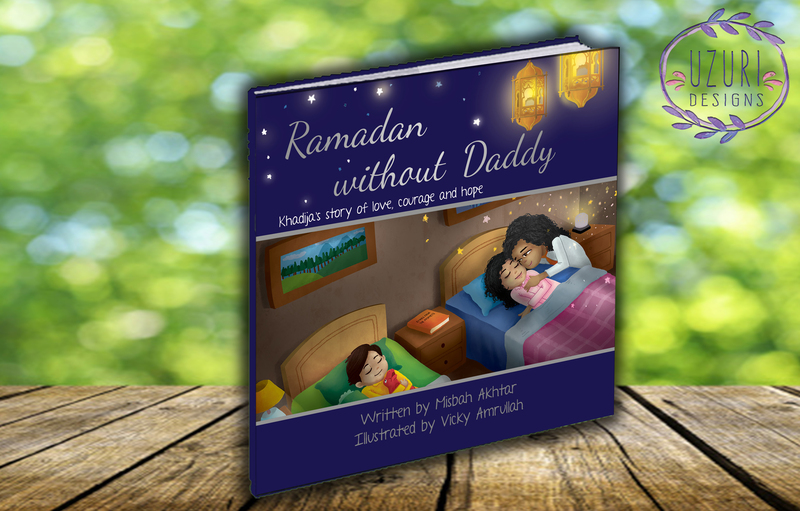 Ramadan Without Daddy was written by Misbah Akhtar and illustrated by Vicky Amrullah. It was published by Djarabi Kitabs and is available here. This story is one that I would have loved to have when I was growing up. Ramadan has never had Daddy for me and I think that this book is something I may have benefited from when I was little and had questions about my home life. The explanation of divorce – that sometimes people just don’t fit in certain situations – is simple but striking. I love the way that Akhtar has explained the impact divorce has on both parents and children – that there is difficulty in understanding everyone’s new roles and places and that there will be an adjustment period while things settle. My favorite part is the glossary and the attention to detail in the illustrations. Final rating: 5 stars out of 5. Now for some exciting news – You can win a copy of Ramadan Without Daddy! Comment on this post & tell me why you’d like to win – the winner will be drawn randomly from all the comments In Shaa Allah.